Subscribe on iTunes (http://mammth.co/scamapaloozaonitunes) Subscribe on Android (http://mammth.co/scamapaloozaonandroid) Get the Feed (http://mammth.co/scamapaloozafeed) You can’t trust anyone. Particularly not author, entertainer and collector of scams Nicholas J. Johnson. 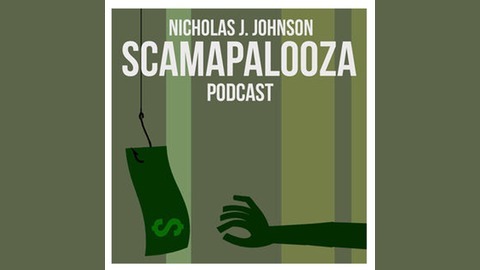 Scamapalooza attempts to separate facts from fraud as Nicholas explores the worlds of deception, illusion and swindles with the rogues gallery of writers, magicians, comedians and confidence artists that are his guests. 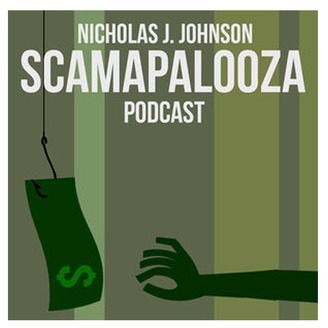 “Nicholas J. Johnson is the man to talk to about scams.” - ABC Statewide Drive Victoria. Imagine you're a professional magician, performing a few card tricks at function when you're approached by a mysterious stranger who wants to make use of your unique set of skills. He wants to turn you into a card counter. That is exactly what happened to Dale Sadler, a magician turn card counter who spent years making his living winning at blackjack at casinos across Australia. On this episode, Dale explains how to card counts, how to gain access to the high rollers room, how to avoid get caught and why he gave it all up.